Key Club President Amber Seeley, a senior, paints her parking spot in the student parking lot over Labor Day weekend. 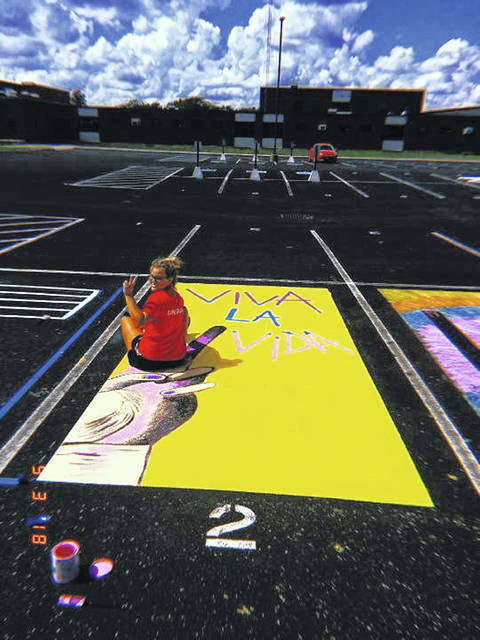 High school students can customize their assigned parking spaces as a fundraiser for teacher Amber Shively. 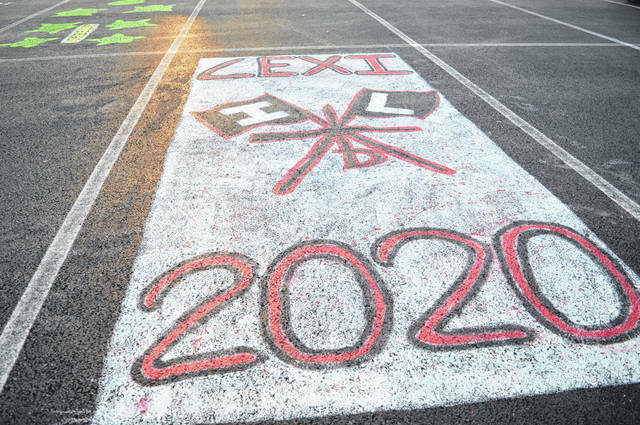 The ILHS Key Club is offering a “Paint Your Parking Space” fundraiser to help offset the cost of cancer expenses for math teacher Amber Shively, who was diagnosed with breast cancer in the spring. Key Club President Amber Seeley, a senior, approached school administrators after seeing the idea on social media. “I just thought it was a fun way to build school spirit and support Mrs. Shively,” Seeley said. Key Club Advisor Jen Ignarski said the activity had raised more than $300 by Sept. 5. The goal is $1,000.